Anyone who is trying to change the face of anything has to set a new standard. That was my goal from day one in the NFL. I wanted to change people’s perceptions of the safety position. Safety has been an unappreciated position in the league for a long time. 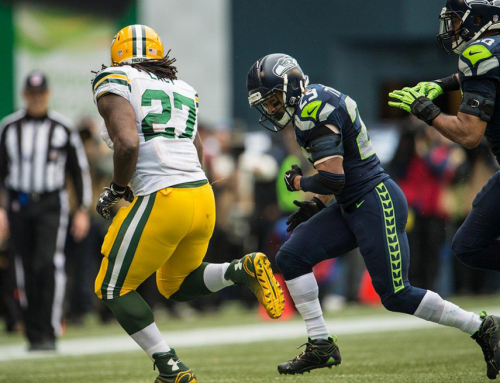 It’s proven to be an invaluable position, especially for our defense in Seattle. Safeties have to do all the thinking. We have to be ahead in the mental game, and the mental part to me is maybe 90% of football. If you don’t know how to communicate, if you can’t recognize when guys aren’t in the right spot, you can’t play football. You have to know where to be before the play even snaps. If you can’t play fast, you’re not going to have a chance. So for three seasons, I worked to set a standard. After winning a Super Bowl and signing a new contract — the highest ever for my position — I felt like I had made progress. There were other things that told me how far I’d come, too. Around the time of the draft, Ronnie Lott — the Hall of Fame defensive back — sent a few thoughts my way. 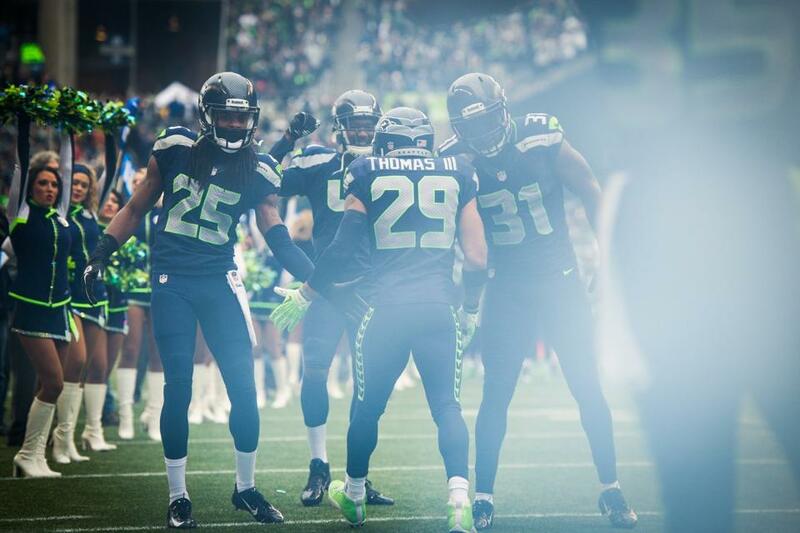 @Earl_Thomas An important position! Congrats on your new deal. Much deserved. Ready for Fall. 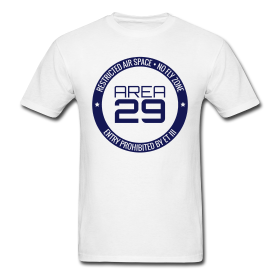 @Earl_Thomas @PeteCarroll Will do. Pete and I go way back! You look at everything that happens to you, especially that kind of thing, you feel like you’re on the right path. When the right people are showing up in your life, people that did what you do at a high level, that means something is right. 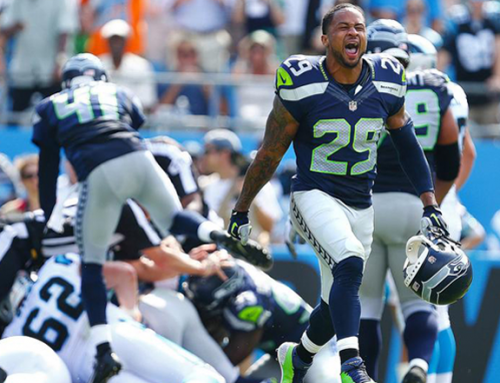 The Legion of Boom has also played a huge role in helping me continue to strive to be the best. That’s because we’re all striving to be the best. 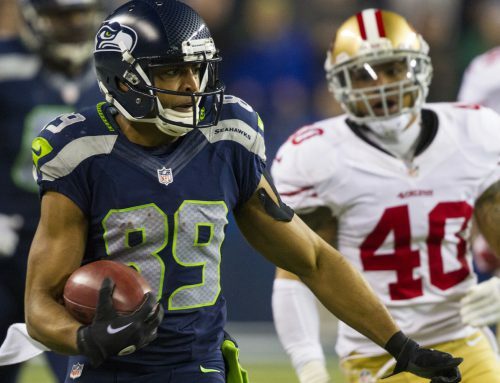 We have Richard Sherman, and Sherm is just a smart guy. Very calculated. (If you haven’t noticed, he’s kind of a marketing guru.) And his play on the field speaks for itself. Numbers don’t lie. He’s one of the least targeted guys in the NFL, and he led the league with eight picks. He doesn’t give up big plays. He’s clutch. The guy isn’t just elite. None of the other defensive backs in the NFL are on his level. He’s separated himself. We all have. We have the number one corner in the league. 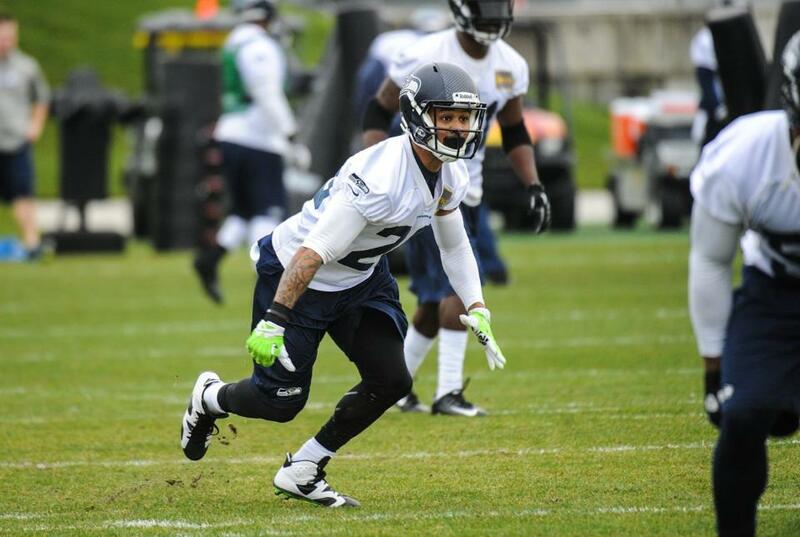 We have my brother Kam in the secondary. We also have a great coaching staff. These guys make my job very, very easy. And we’ve set the standard for what a secondary can aspire to be. As you might have noticed, everyone is trying to reach that standard. Sitting back and watching the draft, you could see other teams try to upgrade their defenses. They did the same thing in free agency. A lot of players got great contracts because of it — a lot of players who deserved it. Joe Haden is a guy I respect a lot. We came into the NFL in the same draft class. We’re very close. I was very excited for him to get his extension. You can’t really copy what we’re doing. You can try to have the same scheme. But what separates us is our intellect and our personnel. The biggest reason for our success is that we hold each other accountable for every little detail. I really believe in the idea of iron sharpening iron. We are our brothers’ keepers. That’s a saying we have here. We really hold each other to every little detail whether it’s running for the ball, being on your indicators, doing your job, owning your role, not listening to misleading distractions and just getting to who you are, and just being you. We’re unique. We all bring these different abilities that we’re so good at. 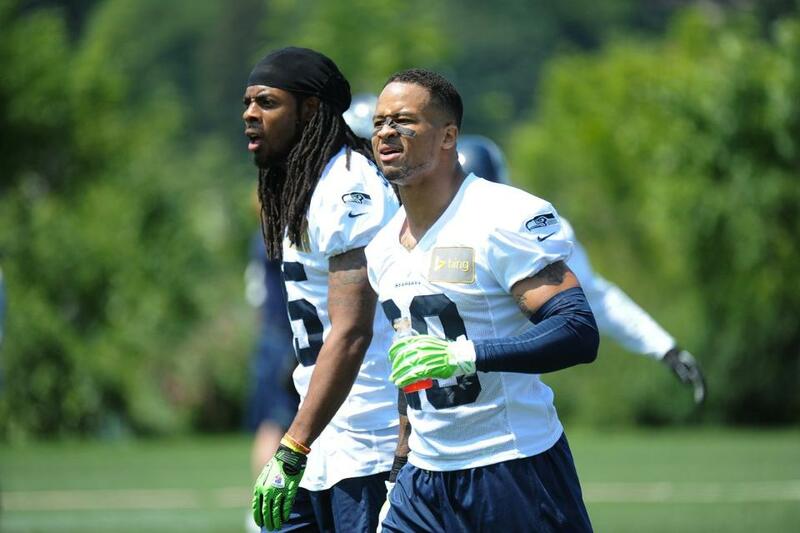 It’s Sherm and Maxwell with their long arms, using their bodies and minds right to cover receivers. It’s Kam Chancellor, the enforcer, or me on the backend, working ourselves to the limit. When all those things come together, we’re hard to beat. I stay ahead of the curve by having the heart of a champion. I will not let anyone outdo me. I won’t let anyone go harder than I’m willing to go. I want to be the best no matter what I’m doing. I want to be the best note taker. I want to be the best when it comes to retaining information. I want to be the best communicator. I want to be the best DB in the league. When you see all these other teams trying to do what we have done, it’s a very rewarding feeling. But it also makes you want to go back to work, and push even harder to see if you can unlock another door. The process has already started for us. When we’re watching tapes, it’s just a different level of understanding. Everybody else in the room, everyone in the LOB, they feel it, too. We all know there’s so much more we can get better at in football. We talk about ideas. We talk about how we can communicate better. We talk about adjustments we can make. We’re all tied on a string, and the way we communicate is going to keep separating us even further from the competition. We’re growing in our mental game and physically as well. The game is slowing down. We may have lost some players who helped us win the Super Bowl, but I understood what it took for us to get there. I’ve never lost sight of that vision, and I expect us to get back there again. Especially if I have anything to say about it. Thanks for all that you do. Very inspiring, and uplifting. You prove that through hardwork, anything is possible. The desire to be the best at whatever you do, and the pride it brings. I like that you a promoting such a positive message! A great role model for kids and adults too! You are a winner in every aspect of the word. You are a role model for young kids, not just because of your on field play but your morals and views on life and the fortitude you show. Thank you for being you. Thanks for sharing this, Earl. I’ve thought a lot about what the Seahawks and the 12th man accomplished last year.The team is the poster child for the saying about success being where preparation and opportunity meet. Thanks for being you…full of joy and the heart of a lion! I have been a hawks fan forever!! I have never been as excited to be a Hawks fan as I am now!! I’m in the Navy in San Diego wish I could see you guys play more! At least I get to maybe see you in real action in week two this year! Get some! Fans there were rough on me for the pre season game last year hahah. Man Earl, you have no idea how good it feels to hear a SEAHAWKS player say how much they want to win and desire to be the best. I have been a Seahawks fan for a long time and I have been a fan through the winning and the losing times. I appreciate your hard work so much and I cannot express to you how much it swells my heart with pride to see all of the Seahawk players on the NFL top 100 list. I am so proud of you and all that you have accomplished in your short career already. I appreciate BB and the foundation he laid for the LOB, I’m going to miss him greatly, but I know that we are still in great hands with Maxwell. I believe in you guys at the VMAC. I believe in Pete Carroll and Schneider. 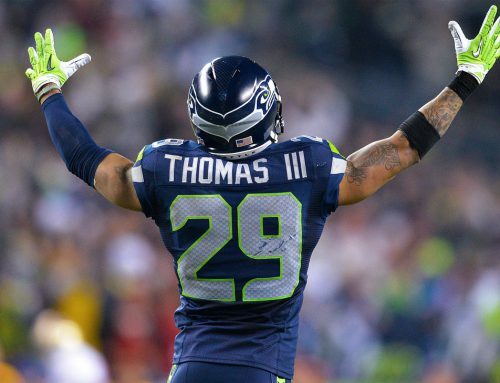 You don’t have to win the Superbowl 5 times in a row for me as a fan to understand that we have some extremely SPECIAL people here that are playing for Seattle…. We have been losers for such a long time, so close, but never CHAMPIONS.. 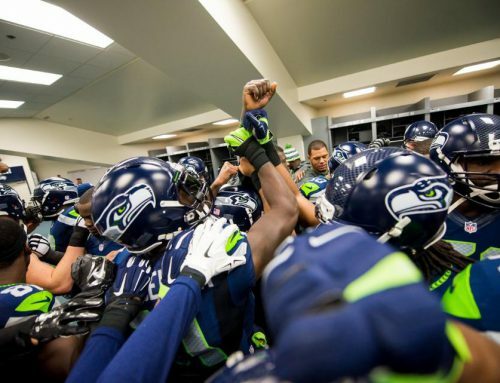 Thank you for making our city of Seattle True Champions…. I mean the Storm are great, but come on….. And the only team that did win anything was stolen away from us and taken to Oklahoma.. So, thank you for being a part of the change in Seattle.. I will tell my children about the LOB, and how they helped make Seattle champs and changed the culture of a city forever thought to be sad and full of losers. Appreciate all you and the rest of the team do for us 12s. Love your passion and look forward to seeing you light up everyone that crosses your path. Steve Largent, Jacob Green & Kenny Easley used to be my favorite Hawks, but you and the rest of the new crew are pushing some boundaries there! I think Largent will always be my favorite Hawk, but Kenny and Jacob are in trouble. It’s unfortunate that the league’s changed so that teams don’t/can’t keep players their entire careers (for the most part). Would love to see you spend your entire time in Seattle. I switched the letters of your name so that I may call you Real Thomas on game days, because you are the real deal. Someday, in the very distant future, I want to read the book you (or Sherm or the whole LOB) should write. Keep a journal!! Kam is going to be just as good as Ken Easily. He’s so fast and physical at the same time. Kam is going to be all world. He’s just a quieter personality, not looking for the camera or the spot at all. He is so fundamental in his tackling, always penetrating the center of hand space and the center fulcrum of opposing players. He’s just so physical so punishing and so fast. You play the game at such a high level physically but I really appreciate your explanation of what the safety position demands mentally. You are into it and it shows in the results. Your commitment level is extraordinary and what that does is extend to the fans, too. When you’re passionate, it lets us all be passionate AND THAT’S JUST PLAIN FUN! It’s more than feeling a part of things. I have been a fan since the Seahawks started and I know that your passion and excellence take the 12s to a great place. Thanks! Thanks Earl for the inspiration. Whenever I get tired and feel that I can’t push myself any further, I read your posts and they re-charge me so I can push a little harder to get better. Thanks and keep it going! I wanted to say that I am so very grateful to be a fan of the Seattle Seahawks from Eastern Washington. The spirit of the fans and team has helped me to BELIEVE and be a WARRIOR. I will not give up. I was able to attend the Carolina game a couple of weekends ago even in the pain I am enduring at the time. I am scheduled for a Complex Spine Surgery February 6th at Virginia Mason. I keep the faith and believe that as long as I keep up the fight I will prevail. Your post and team posts have helped in so many ways! GO HAWKS!! YOU GOT THIS! !